Not all DUI attorneys are trained in DUI law. Even fewer are recognized as a specialist. The California DUI Lawyers Association has certified Mark Sollitt as a DUI specialist. In fact he is the only specialist with a home office in Sacramento County. When you have so much to lose, do the smart thing and hire an attorney with the tools and experience to defend you properly. The police aren’t always in the right. There are rules that law enforcement must follow. Too often those rules are ignored. Police expect that citizens don’t know the law, or won’t stand up for their rights. That’s where attorney Mark Sollitt comes in. When you hire Mark, you get defense that won’t be intimidated by police and prosecutors. You get an attorney who points out sloppy or false police reports. Police officers have been fired and arrested because of him. He makes them carry the full burden of proof. Prosecutors offer deals just so they don’t have to put up with Mark Sollitt. You need an attorney who will fight. Call the office at 1-800-420-5667 to have Mark and his team start working to clear your name. 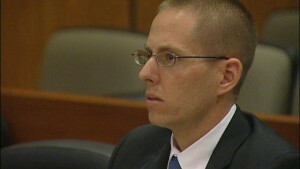 Former officer Brandon Mullock accused of falsifying DUI reports. It isn’t enough to know the law, or to hold police accountable. Mark Sollitt knows Sacramento. He knows the police, prosecutors, and judges. Knowing their personalities and habits gives him a sharp edge in court. He knows who will back down and offer a plea, and who will make it a fight. It isn’t gambling when you know and understand the odds. Hiring Mark Sollitt as your DUI lawyer is an investment in your future well being. Facing court without him will result in steeper fines, longer jail time, and harsher penalties. Do yourself a favor and schedule a consultation. You can discuss your case with Mark and make a plan to get through this. Call Mark Sollitt’s office at 1-800-420-5667. He will fight your case with you!